Mix one level scoop into 180-240 ml (6-8 oz) of cold water per day. Protein Blend (Whey Protein Isolate (Milk), Whey Protein Concentrate (Milk), Milk Protein Isolate, Emulsifier: Soy Lecithin), Micro-Encapsulated Conjugated Linoleic Acid (Safflower Oil, Sodium Caseinate (Milk)), Thickeners (Carrageenan, Sodium Carboxymethylcellulose), L-Carnitine, Green Tea Extract, Salt, Acidity Regulator (Citric Acid), Sweetener (Sucralose). Not for use by those with pre-existing medical conditons or those taking medications, those under the age of 18 or women that are pregnant or breast-feeding. This product should not be used as a substitute for a varied diet. Keep out of reach of children. 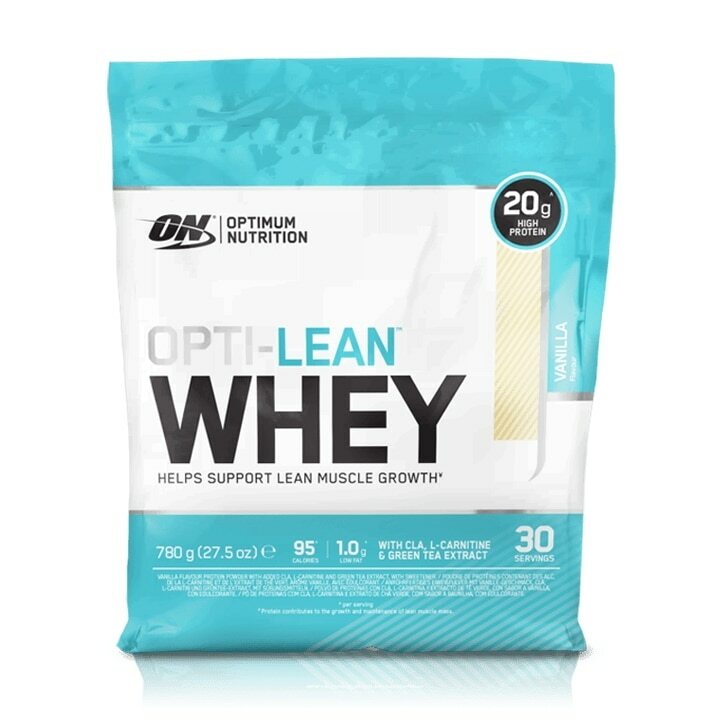 Optimum Nutrition Opti-Lean Whey Powder Vanilla is rated 4.6 out of 5 by 7.